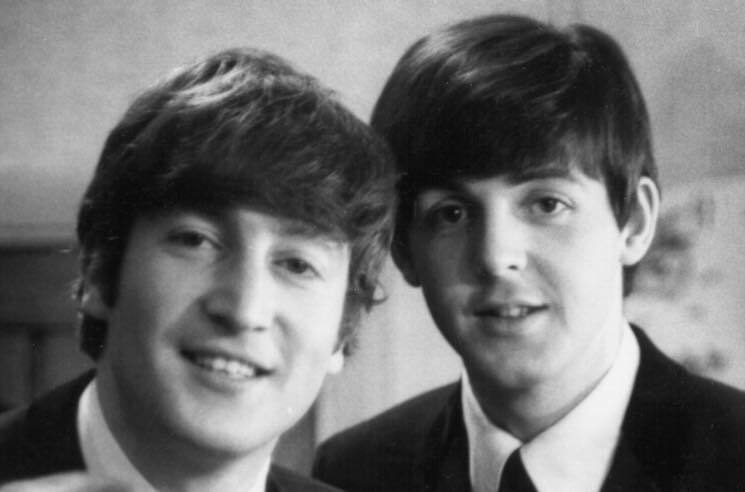 The songwriting tandem of John Lennon and Paul McCartney is recognized as one of the greatest in musical history, but there have been disputes throughout their partnership as to who exactly wrote what. Now, a Canadian professor is using the power of math to break down the authorship of Beatles songs, most often simply credited as just Lennon-McCartney. As Dalhousie University professor Jason Brown told the CBC, Lennon and McCartney "agreed on a lot of their songs. But on a few songs they disagreed." The particular example Brown gave the publication was "In My Life," which appeared on the Beatles' 1965 LP Rubber Soul. Brown explains that certain songs found "McCartney saying he wrote all the music and John saying, no, he wrote the music, and then later he said, 'Well, perhaps Paul helped a little bit in the middle 8.'" Working alongside Harvard University statistician Mark Glickman and Harvard student Ryan Song, Brown analyzed 70 Beatles songs released between the group's 1963 LP Please Please Me and 1966's Revolver. The team's song analysis included studying the notes in each track's melody, the transitions between said notes, the chords used, the sequences of chords, and pitch contour. The trio then used results found from songs with known authorship to find patterns in disputed tracks to figure out who wrote the music. As for "In My Life," the trio's study found that there is a two percent chance McCartney penned the track. The trio's work also found that McCartney was responsible for writing "The Word," while Lennon wrote "Do You Want to Know a Secret?," the latter of which was sung by George Harrison. "These findings would be controversial," Brown said. "Beatles fans tend to have favourites. There are people who are John people and people who are Paul people, there are George people and Ringo people." Other patterns discovered through the trio's analysis include McCartney's reliance on vocal leaps of an octave or more in his songwriting, while Lennon uses a more narrow vocal range. "These are tiny little things that you might not recognize by listening to them," Brown said. "You don't want to go by what you just believe in your heart is the differences between the two." In related news, another rare piece of early Beatles history is set to hit the auction block.